After pioneering the market for search engines, Google became so much more than just a sleek tool to get ahead and find things online. An entire decade ago, Google created the Chrome browser that undoubtedly changed the way we surf the internet for good, improving browsing speeds significantly and has only become superior over time. Just a few years later when the Android OS began gaining some momentum, Google was quick to release the Chrome browser for Android as well. While it is easily the most used mobile web browser in the world, Google Chrome browser for Android does not offer the same amount of features as the web version due to the missing Extensions feature. However, since Google Chrome for Android is built with usability and convenience in mind, there are certain exceptional features that even mainstream users miss out on sometimes. 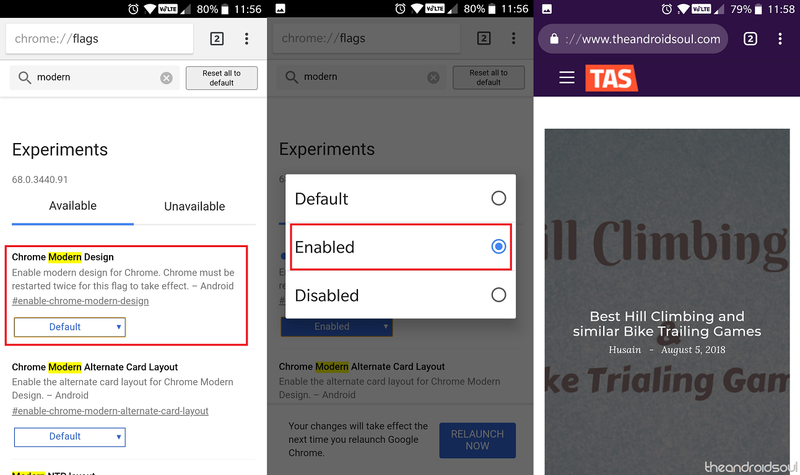 We’ve compiled a list of tips to unlock and make use of features like the Chrome Flags and a lot else, so you can use Chrome for Android like a true professional. Whether you talk about browsing on the computer or on your mobile, managing multiple tabs (sometimes dozens of them) can be quite a hassle. 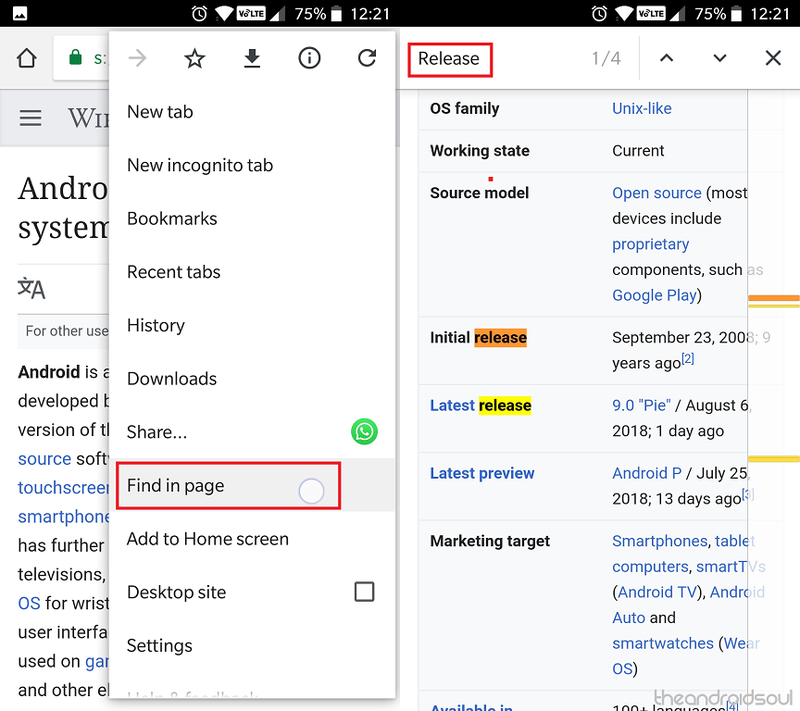 Google Chrome for Android offers a way to make navigation easier right from the app itself, giving you the ability to swipe between the different tabs almost seamlessly. To switch between the different tabs, you have open in the Chrome browser on your phone, simply press and swipe on the URL bar. 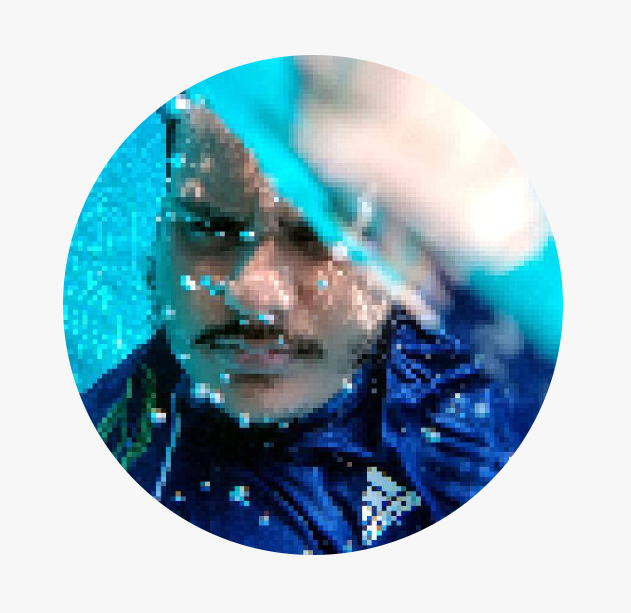 Swipe on the right side to open the other tab, and keep swiping left and right to view the different tabs you have open. Ever since the first time Google Chrome came out for Android and PC alike, the UI has gone under significant changes. Google hasn’t really stopped redesigning the Chrome for Android app even if you don’t get to see it since it is a part of the Chrome Flags experimental section. However, you can easily choose to enable the Modern Design for Chrome here. Open the Chrome app and type in ‘chrome://flags/#enable-chrome-modern-design’ into the URL bar. Tap on the drop-down menu under the Chrome Modern Design menu and select the Enabled. Press the Relaunch Now button at the bottom to open Chrome again and view the changed UI design. If you’re really used to the natural user interface of the Chrome browser on your computer and find the lack of certain quick navigation buttons disturbing, there’s a way to change this. 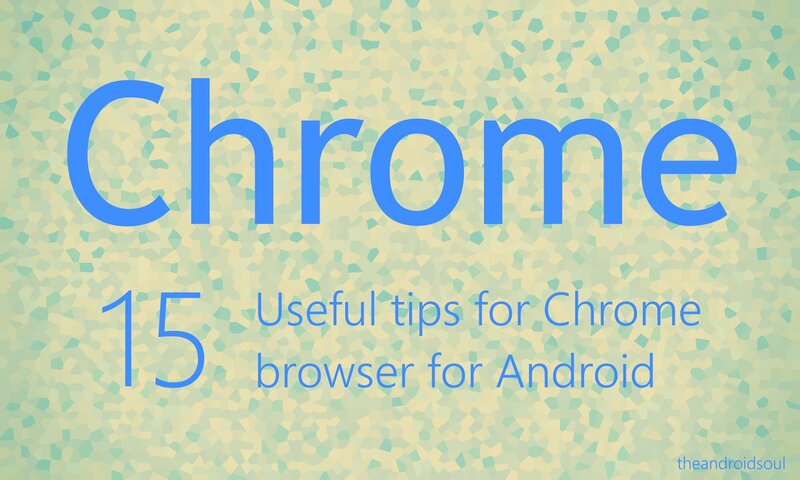 With the Chrome Flags section, you can easily add a Home button to the URL bar of the Chrome browser for Android. Open the Chrome app and type in ‘chrome://flags/#force-enable-home-page-button’ into the URL bar. Tap on the drop-down menu under the Force Enable Home Page Button menu and select the Enabled. Press the Relaunch Now button at the bottom to open Chrome again and you should be able to view the Home button added on the left side of the URL bar. In a move to keep net neutrality on the Chrome browser platform, Google allows you to set the default search engine and change it if you don’t want it to be Google. 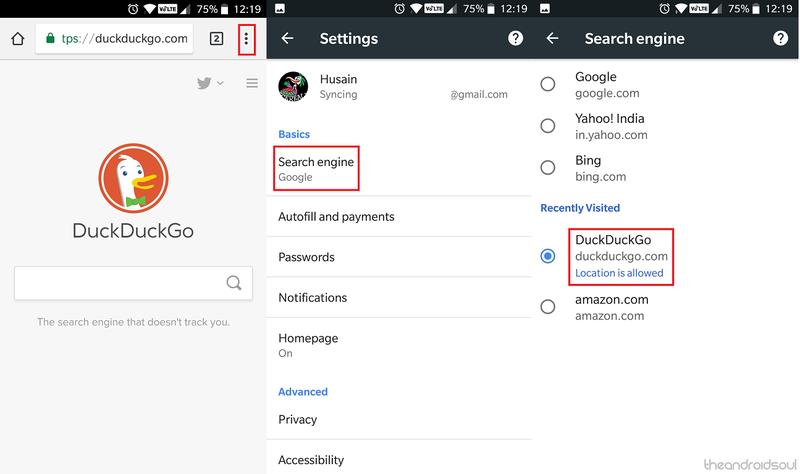 If you are looking to change your search engine to Bing for some reason or just value the privacy features of DuckDuckGo, here’s how you can set them as the default search engine on the Chrome app. Open the search engine web page in the Chrome app that you want to set as default. Tap on the three-dot menu button and select the Settings. Open the Search engine tab and select your search engine URL that you have opened (DuckDuckGo in this instance). Your default search engine will now be saved and will come into effect immediately. Another exceptional feature that you get to enjoy on the Chrome browser for computers is the ability to search through the entire webpage for a single keyword or even a phrase using the Ctrl + F key. 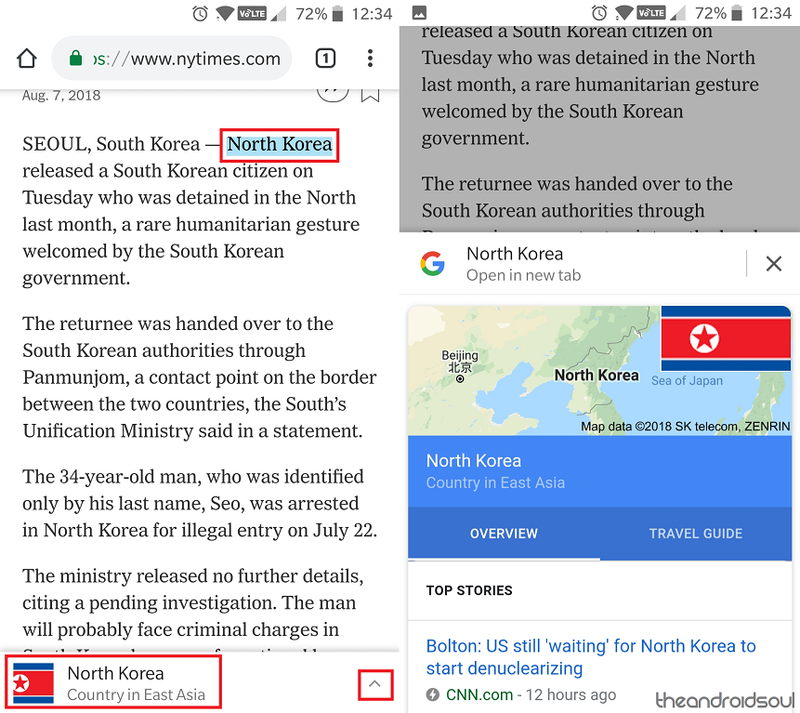 While there’s no direct way to do this on the Chrome app for Android, you still get the ability to pluck keywords or phrases from the entire webpage. Open the webpage in the Chrome app that you want to search through. Tap on the three-dot menu button and select the Find in page option from the drop-down menu. Type in the keyword or phrase that you want to search in the empty space at the top of the screen. Tap on the arrow keys right next to your searched keyword to see the matching results on the webpage. 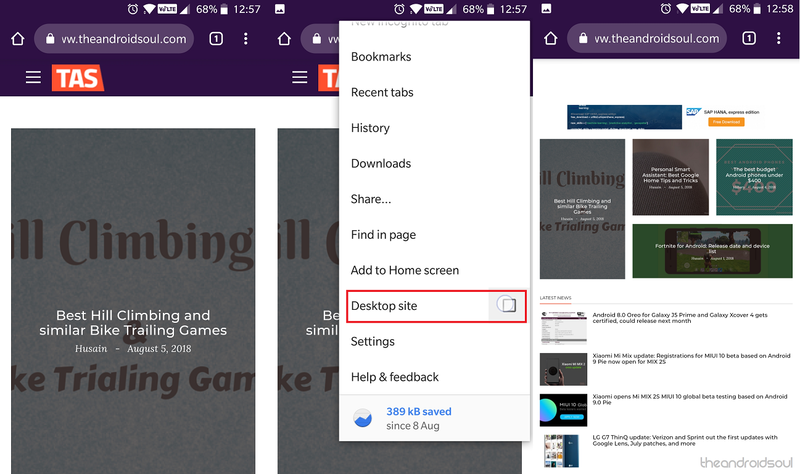 For all those times when you’ve needed a soft copy of a huge webpage that is available for offline viewing, you’ve depended on Chrome to deliver with the ability to save web pages. However, there is a trick hidden in the Google Chrome browser app that allows you to not only create a viewable offline version of a webpage but easily in the form of PDF. Open the webpage in the Chrome app that you want to download and save as PDF. Tap on the Share button and select the Print button from the available menu. Press the drop-down menu at the top to select Save as PDF and press the PDF button to download the webpage as a PDF file. Chrome by default comes with a fluidic user interface when it comes to managing the mobile aspects of browsing, such as multiple tabs. 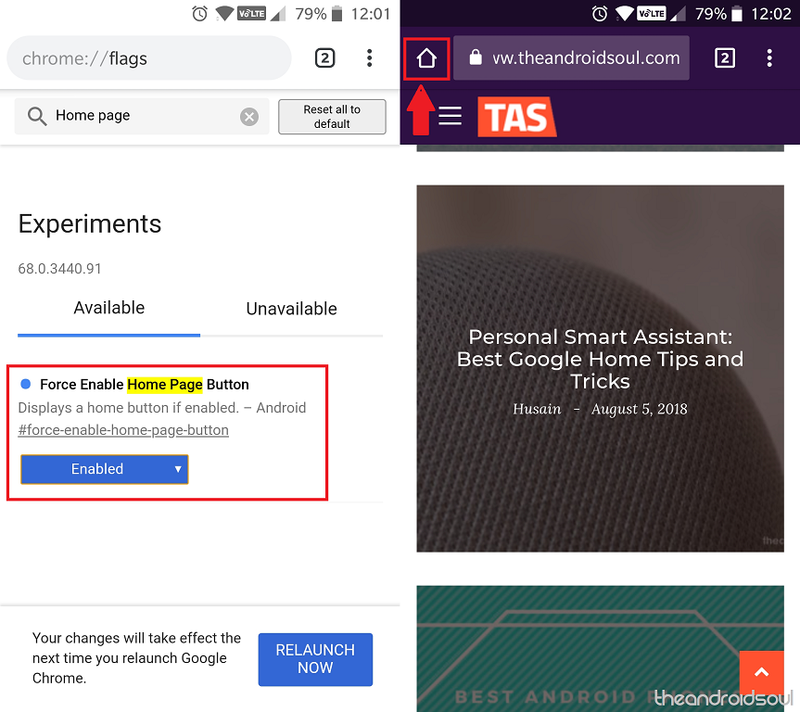 However, the card-style design to view tabs can also get in the way of managing them, which is why the Chrome Flags section comes with a way to make tabs management a lot easier. 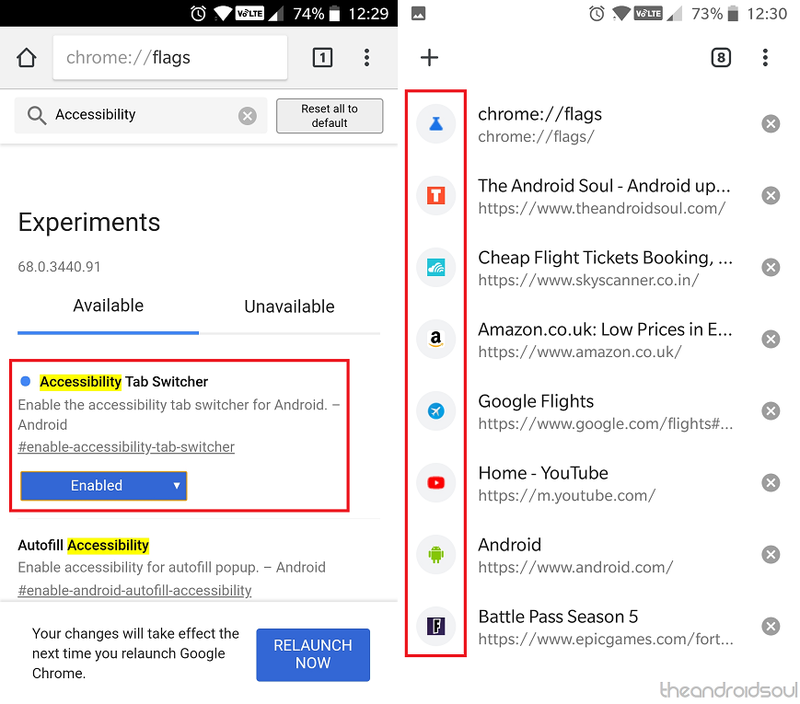 Open the Chrome app and type in ‘chrome://flags/#enable-accessibility-tab-switcher’ into the URL bar. Tap on the drop-down menu under the Accessibility Tab Switcher menu and select the Enabled. Press the Relaunch Now button at the bottom to open Chrome app again. The next time you open the Tabs icon on the top-right corner of the screen, the tab view will be linear and much more manageable than what it was before. The fact that the Chrome browser is an integral part of the Google environment makes it the perfect candidate to further test out the capabilities of the search engine. This is why you’ll find the ability to simply look up words and phrases while reading through a webpage not just convenient, but pretty accurate as well. With the webpage open press and hold on the text that you want to highlight. You will automatically see a relevant search result pop up at the bottom of the page. Tap on the arrow icon next to the search result to expand the window. You can then close the window using the arrow icon or tap on the Open in new tab option to continue your search in a different tab. These days, you can find an app for almost all websites, but some websites are designed in a way that their user interface seems nothing short of a mobile app. 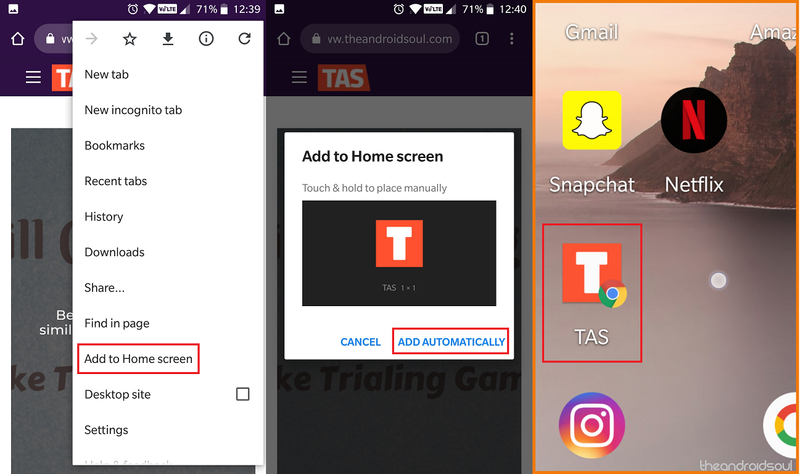 This is why Google Chrome has added the ability for mobile users to easily add an app to the home screen, making it essentially look like an app icon. Open the Chrome app and head over to the website that you want to add to the homescreen. Tap on the three-dot menu button and select the Add to Home screen button and select it. Now you can change the name and icon that you want to set for the webpage’s homescreen icon. Finally, tap on the Add Automatically button to bring the website as an app icon to the homescreen. Whether you consider the possibility of certain websites tracking your browsing history to monetize it or just the threat of a shady website using it maliciously, security has always been a big point of focus on Google Chrome. 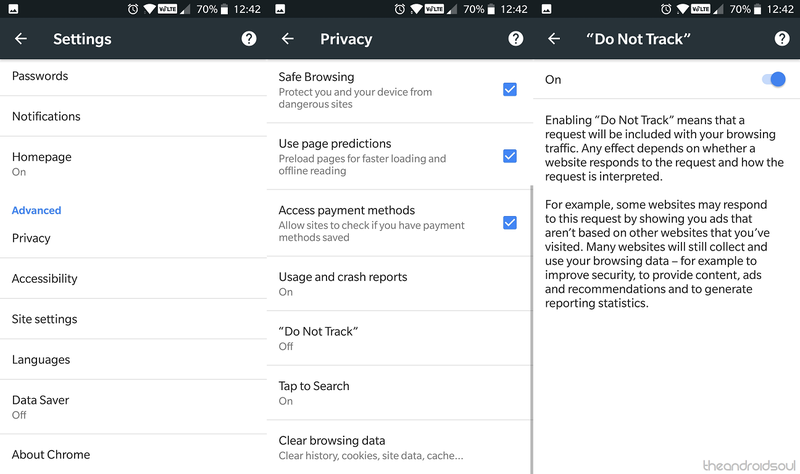 While it may not be as ironclad as the web browser, Chrome for Android still comes with a robust feature to stop websites from tracking you. Open the Google Chrome app and tap on the three-dot menu button on the top-right corner. Choose the Settings option and then scroll down to find the Privacy. Scroll down to select the ‘Do Not Track’ menu and then enable the toggle switch next to it. Websites will still show you ads, but they will not be able to track your search habits anymore. You might not find the need to frequently clear your browser history, but when it comes to keeping the Chrome app on your phone zippy, you probably should do it more often. There is an experimental feature built right into the Chrome Flags that allows you to not only automatically clear older browser history but enables you to go more than a month back. Open the Chrome app and type in ‘chrome://flags/#clear-old-browsing-data’ into the URL bar. Tap on the drop-down menu under the Clear older browsing data menu and select the Enabled. Now tap on the three-dot menu icon and open Settings. Scroll down to open the Privacy menu and then access the Clear browsing data. Tap on the Time range drop-drop menu and select the Older than 30 days option and then press the Clear Data. Probably one of the coolest Easter eggs ever created by Google is the endless jumping game that you can play when the internet is down. The lovable pixelated T-Rex game is available on the mobile version of the Chrome web browser as well, and we could argue that it handles controls for jumping the Dino even better than that on the computer. Open any webpage on Google Chrome when you’re not connected to the internet (or turn off the internet connection if you want to try this now). You’ll be able to see the No Internet page with the T-Rex character on the screen. Tap on the T-Rex and it will begin running in real-time animation. Tap on the screen each time you want to make the T-Rex jump over obstacles. The age of 4G internet may have made browsing far more fluidic, but it has also caused us to swiftly cross our monthly data limit. 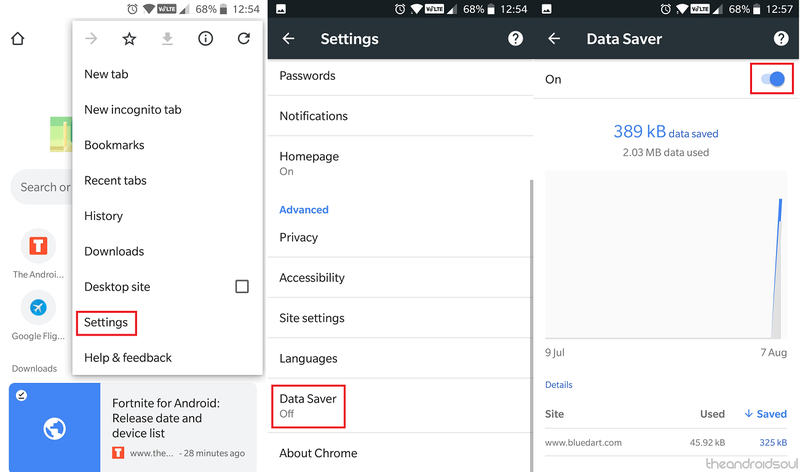 If you’re concerned about the amount of data usage that is done by the Chrome app, there’s a nifty data-saver feature built right into the browser that works like a charm. Choose the Settings option and then scroll down to find the Data Saver. Tap the toggle switch to enable the Data Saver mode, which also shows you a report of your saved data over time. While most website developers understand the value of a mobile-friendly website UI these days, you’ll still end up finding a bunch that looks wonky on the mobile screen. For these instances, Google Chrome has added the ability to open even a mobile version of a website in desktop form with a specific feature. Open the website in the Chrome app that you want to view in desktop mode. Tap on the three-dot menu button and check the box next to the Desktop site. The website will reload and open as the desktop version, making it more usable if not with the friendliest user interface. 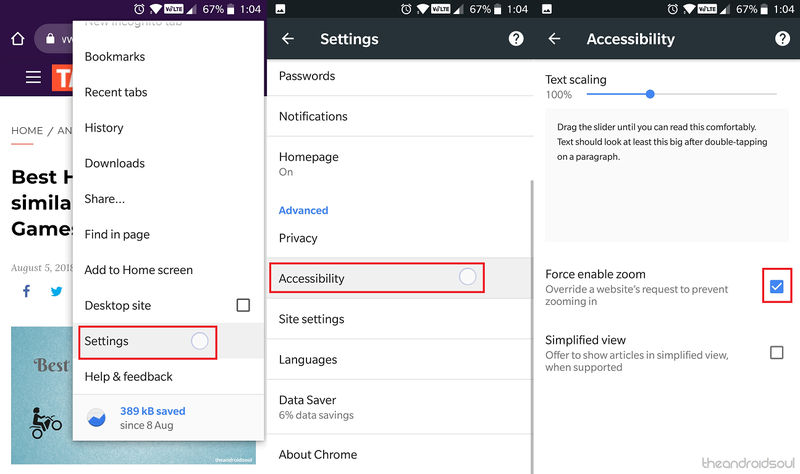 Whether you’re going through a website that uses an unusual font which is too tiny for you to read, or just an image that you want to zoom into, Chrome gives you the ability to do it even on the mobile app. Choose the Settings option and then scroll down to find the Accessibility. Press the empty box next to the Force enable zoom option to activate it. You will now be able to use the pinch-to-zoom feature to zoom into webpage all across the Chrome browser app. 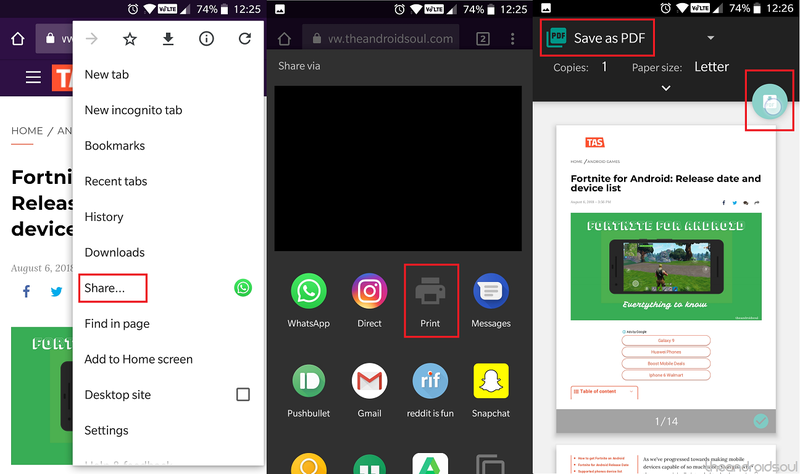 How many of these awesome tips and tricks for the Google Chrome for Android app were you already familiar with? If you’ve got any other brilliant ones to share, mention them in the comments below and we’ll be sure to try them out ourselves.